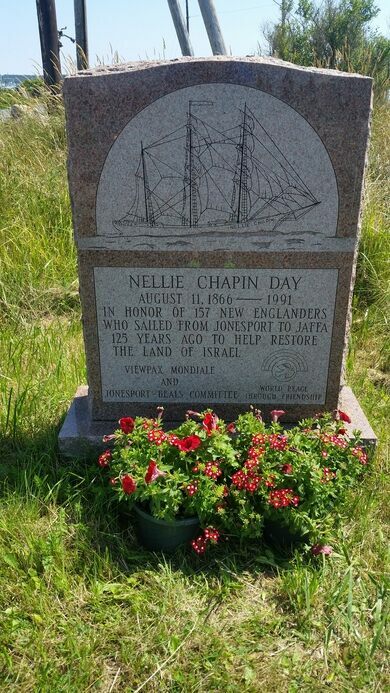 On August 11, 1866 the ship Nellie Chapin set sail from Jonesport, Maine to Jaffa (which is now Tel-Aviv, Israel). Reverend George J. Adams, a charismatic man with a slightly shady past and drunken tendencies, led a group of Christian colonists on a mission to live and work in the Holy Land to help restore Israel for the Jewish people, which they hoped would expedite the Second Coming of Christ. The highest point in Maine is a grand gift to the state citizens that also happens to be one end of the Appalachian Trail. They packed prefabricated homes, farming tools, clothes, and other belongings onto the ship and headed to Jaffa. It was smooth sailing, until they reached their final destination. The group’s claim to the land had been rejected by the Sultan of Turkey, so the pilgrims were forced to live in ramshackle, makeshift shelters on the beach near a cemetery housing the victims of a recent cholera epidemic. Because of the shallow harbor, they had to anchor two miles offshore and load their belongings into rafts when going ashore. 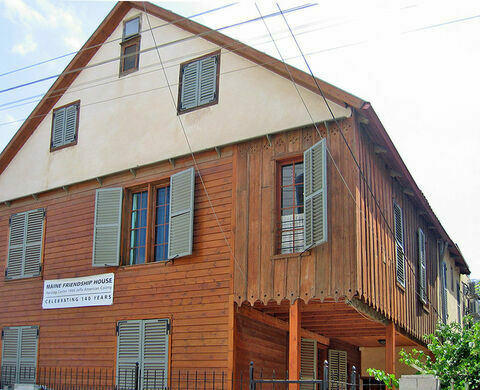 Finally, by November they had started farms and built some of the prefabricated houses outside Jaffa’s walls. Several of those houses are still standing. One is currently known as the Maine Friendship House. But farming was hard in the dry climate. Both crops and people perished. Despite a few successes in other industries, many of the original 157 pilgrims were anxious to return home. In April of 1867, 20 pilgrims gained passage to Egypt on the United States Navy steamer Canandaigua. In May, another 32 left for Syria. In July, the colony lost another nine. In early October, the ship Quaker City took 44 pilgrims bound for the United States. Adams himself left in 1868. A stone commemorating the pilgrims’ ultimately unsuccessful mission to bring forth the Messiah sits on the Jonestown side of the bridge to Beals Island. A sister stone can be found at Charles Clore Park in Tel Aviv. 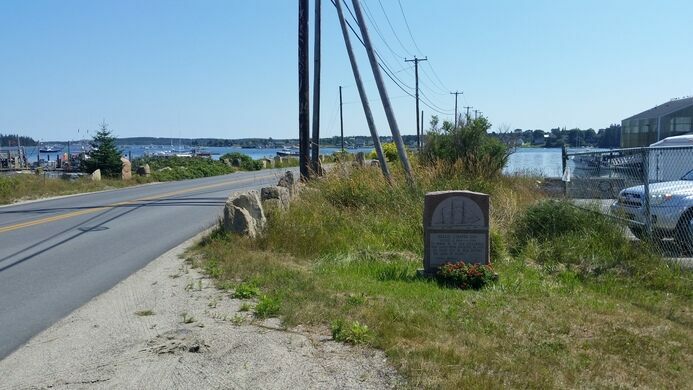 The stone is just off the side of the road near the U.S. Coast Guard station. There is an easy pull off to take a look. Sail across the offshore townships of Maine, August 7–11, and discover the wonders and oddities that make up this beautiful, remote corner of the world. The whole of Maine's history with the salty little fish is packed into this tiny coastal museum. An elderly widow still operates the incredibly detailed model railroad she and her husband built by hand. This colorful theme park dedicated the official fruit of Maine serves sweet, tasty treats. The only land territory disputed between the U.S. and Canada. This unique depiction of the Virgin Mary may be the tallest kinetic art sculpture in the world. The spot where three Protestant clergymen were burned at the stake during the reign of "Bloody Mary." This foreboding building was the headquarters of the terrifying Spanish Inquisition in Mexico.